Yoga-like entertainer. 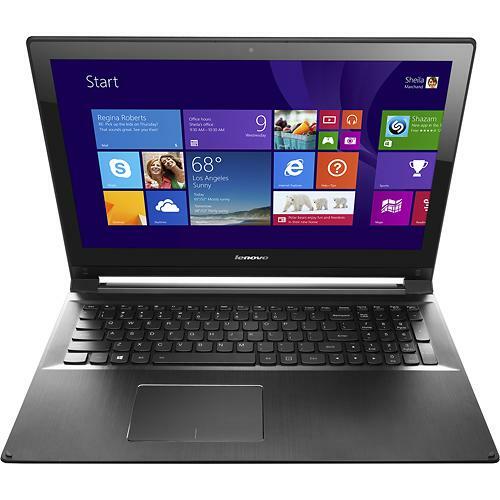 Lenovo’s Edge 15 notebook is a Best Buy exclusive with a sleek and sturdy aluminum build and some transformative properties that almost resemble the Yoga line of machines. It’s an interesting combination of features, but is it a practical addition to the lineup? If you're looking for a real 2-in-1 that transforms from laptop to tablet, the Edge 15 stops just short of delivering the full convertible experience. Instead, you get a reasonably priced mainstream laptop with a useful stand mode, solid Core i5 power and a sharp (but not very colorful or bright) full HD display. All in all, the Lenovo Edge 15 should suit the needs of the majority of PC buyers—from home computer shoppers to students and even small business users—very well. It looks more expensive than it actually is, while delivering adequate performance and excellent creature comforts. Once the smoke has cleared, I can’t say that the Lenovo Edge 15 comes out on top against traditional notebooks handily. In fact, I’d say it’s pretty much a draw. The Stand Mode doesn’t add a lot, though its touch screen display is a clear winner. If you’re sure you want a touch display in your next laptop than the Lenovo Edge 15 is a great fit — provided you’re not looking for anything that’s ultra-portable. If you are looking for an ultra-portable or something that is great for entertainment away from a desk the Lenovo Edge 15 isn’t it. It fights the good fight, but loses the war.